At a horror film festival last year, a filmmaker made an offhand remark about "the loud scary sound" in his film. He assumed I knew what he meant by "the loud scary sound." Alas, I did. Horror films are full of "the loud scary sound," or what I term, an Audio Shock. An Audio Shock is a 1. brief increase in volume that startles an audience. Audio Shocks serve a legitimate purpose. They unnerve viewers, making them emotionally receptive to tension and fear. But shocks are not to be confused with fear. Shocks are easy. Loud noises and gory visuals shock viewers. Audience jump, and then it's over. Fear is a longer-term emotion, lasting for (hopefully) much of the film's duration. Fear is creepy and tense and lingers throughout the viewing experience. Story, characters, and atmosphere build tension and fear over the course of a film. Shocks unnerve viewers (tilling their emotional soil), so that the seeds of fear may grow. Unfortunately, lazy or inept horror filmmakers offer Audio Shocks and visual gore -- but then fall back on hackneyed stories and cardboard characters. Their films till the soil, but plant no seeds. They mistakenly believe that Loud = Scary. Cheap and easy shocks may be enough to satisfy newbie fans, but after a few years, jaded viewers want more than just being jolted. 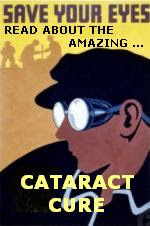 They want story and characters, atmosphere and originality -- even a Sense of Wonder. Apart from Audio Shocks (a brief "loud scary sound"), some films blast extended eardrum-rupturing noise at audiences, in the mistaken belief that Loud = Exciting. Some horror films feature an attack or chase scene that lasts for minutes, with eardrum-rupturing noise (usually music or sound effects) extending over all that time. While horror films are most likely to use (brief) Audio Shocks, the action film is the genre primarily guilty of popularizing the extended loud noise aesthetic, with gunfire and explosions contributing to much of the eardrum assault. But alas, horror has been borrowing action film aesthetics, its loud scenes growing ever longer. This is why I've taken to bringing ear plugs to horror film screenings. Yes, insecure directors, of horror or action films, will up the volume in the mistaken belief that it will make their films more frightening or exciting. These insecure directors just don't get it. Loud does not equal scary (or exciting). Rather, it's the contrast in noise levels that creates an audio shock. 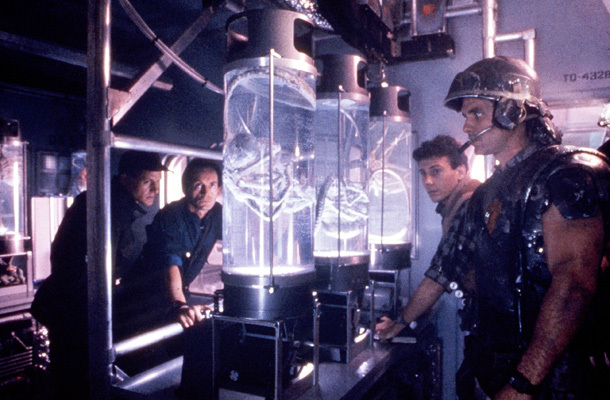 In Aliens, a rescue crew is exploring a deserted lab. Sound levels are low. Carter (Paul Reiser) stares at a jar -- when an alien in the jar TAPS against it. This mere TAP functions as an effective Audio Shock. It's enough to make audiences jump. Not because the TAP is especially loud, but because of 1. the contrast in sound levels between the room's silence and the TAP against the jar, and 2. the unexpectedness of the TAP. Audio Shocks are not created by loud noises, but by a sudden (unexpected) increase in volume. 1. Audio Shocks (a brief and unexpected increase in volume) unnerve audiences, so as to make them emotionally more receptive to fear (which in turn is created by story, characters, and atmosphere). 2. Audio Shocks need not be painfully loud. 3. Horror filmmakers should not rely on Audio Shocks and visual gore alone. A strong horror film needs an intriguing story and engaging characters. 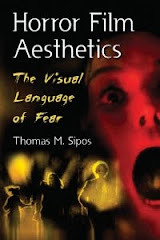 For more commentary about audio shocks, see Horror Film Aesthetics: Creating the Visual Language of Fear. This blog represents a continuing discussion of my views on horror, picking up from where the book left off. I feel as though genres are moving away from surprise and more towards indulging audience expectations. This is especially problematic with the horror genre where surprise is a lot of what creates the terror. It's becoming more like the action genre, monotonous violence with no suspense. Our current media environment has also conditioned people to only engage with constant noise. My exact same feelings when watching Insidious 2 on the TV. The movie is good, I won't deny, but all those audio shocks wasted it for me. I had to constantly handle the bloody volume because I was watching it at night and didn't want to wake up my parents with the TV. Not even the first movie had this much loudness.